Want HD capability without DVR functionality? That’s the DCX525. Compton now has more than 80 HD channels to enjoy, with many more to come, so don’t miss out. The DCX525 is our most compact, fast, powerful terminal with a HDMI or Coaxial connection for output to your TV. Call and check for availability first if you are planning to come and pick one up! Model Subject to change without notice and is subject to availability. May not be exactly as shown. The next generation DVR is here. 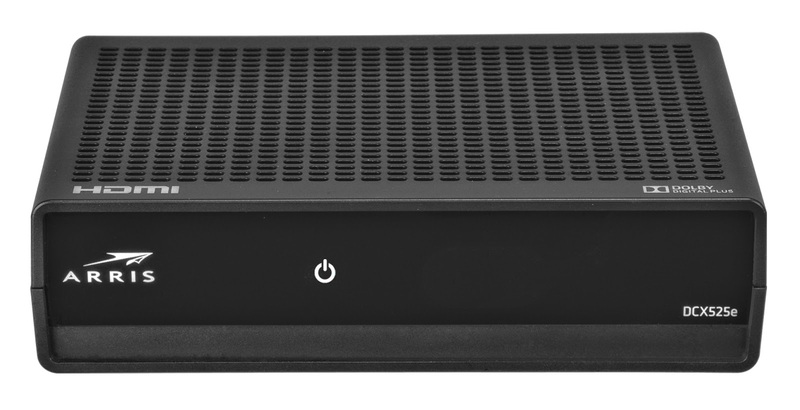 With dual tuners and an onboard 500 GB hard drive, the HD DVR can record up to 200 hours of standard definition programming or 55 hours of HD programming. The HD PVR also features a functional eSATA port to add external storage capacity. A DVR lets you record at the touch of a button, pause live TV and so much more.